5 Nutrient-Rich Foods To Supercharge Any Vegetarian Dinner! When it comes to meeting our macros—and even more importantly, our daily nutrition needs—we like to think that well-laid plans spell success. We weigh out our meals, prepack our Tupperware, and place supps in to-go Ziplocs to make sure we stay on track. After all, consistency is key to results, and nutrition is 80 percent of the battle. But planning breakfast, lunch, and dinner—and fitting in the occasional snack—doesn't guarantee success. From missed meals to miscalculations (and well-intentioned guesstimates), there are times we miss the mark. For vegetarians, these pitfalls can stack up to big nutrient losses even quicker. So, what's the best plan of attack when your MyFitnessPal numbers indicate you're running low on a particular macronutrient or micronutrient? Nix the problem by adding to your last meal of the day! Below is a list of easy-to-add foods that target the five nutrients vegetarians in particular are likely to fall short on. Add them as side dishes or cleverly incorporated recipe ingredients to liven up your dinnertime dish. If you find yourself a bit short on protein at day's end, don't have a cow. (Really—beef is off the table.) 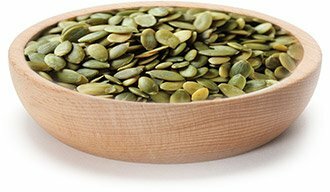 Instead, reach for a few seeds to help boost your protein intake—pumpkin seeds to be exact. Just a handful of pepitas can help you hit your goals since one ounce is packed with 7 grams of protein. HOW TO INCORPORATE: Use pumpkin seeds as a crunchy, low-carb salad topping, or add another element of crunch to a homemade bowl of soup. Looking to add more texture to your dinner plate? Throw a few in a food processor and use them to bread your chick'n. If you have some extra time, roast them in the oven to bring out those extra nutty notes. It's no surprise that a fish-free diet means vegetarians often fall short on omega-3s. But you don't have to feed on what lives under the sea to reach the required 1.1 grams per day for women and 1.6 grams per day for men. If your macros don't reach the recommended amount by the end of the day, add a few flaxseeds to your evening meal. Both flaxseeds and flaxseed oil are a good source of the essential fat. HOW TO INCORPORATE: Flax seeds come whole or preground. If you happen to have a bulk-store version of the whole-seed variety, prep might be a bit more work, but it's still definitely worth it. Unlike chia seeds, which soften when submerged in water, flax seeds have a hard outer husk that maintains its form and is nutritionally void of anything except fiber. Use a blender to grind them to a powder, as you would with coffee beans, and add to anything from salad and yogurt to your nighttime protein shake. Looking for an extra-awesome way to top off a salad? Make your own dressing using flaxseed and extra-virgin olive oil as the base. Squeeze in a little lemon juice for tartness and add crushed garlic or capers for flavor. Sprinkle with some salt and pepper and you're set! Have leftover ground flax? Refrigerate in airtight containers for up to a week or in the freezer for a month to help them keep that fresh, nutty flavor. Iron is essential for proper immune function, metabolic reactions on the cellular level, and proper liver function. It's also the mineral that's necessary to transport oxygen to all parts of the body! To say iron is kind of important is definitely an understatement. If you haven't hit the daily recommended 30 milligrams (for women, 14 milligrams for men), adding a bit of edamame to your evening meal will help you meet your goal. Edamame, or boiled green soybeans, are a great source of iron. Just one cup, which serves a whopping 3.5 milligrams of iron, meets about 15 to 25 percent of your daily needs. 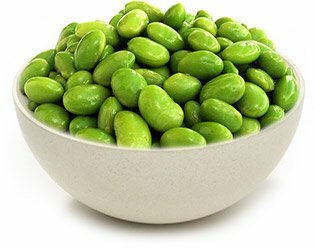 A helping of edamame also provides you with a hearty amount of fiber and protein—8 grams and 17 grams, respectively. That's nearly the amount of protein that's in a 100-gram serving of lean chicken breast! HOW TO INCORPORATE: If you found your edamame in the refrigerated section of your supermarket, it's likely fully cooked and ready to eat. Just warm and serve! If you've picked up the summer staple fresh from the farmer's market, cook the whole pod in a pot of boiling water for five minutes before transferring to an ice bath. Edamame make a fine appetizer on their own, but you can also add them to any cold bean salad, veggie sauté, or pasta stir-fry. 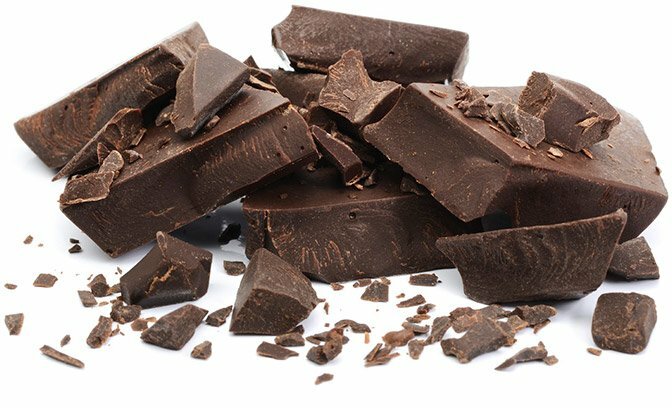 Dark chocolate is loaded with free-radical-fighting antioxidants. Zinc is an essential mineral, and since it can't be stored, the recommended daily amounts need to be consumed daily—11 milligrams for men and 8 milligrams for women. For most people who follow a "standard" diet, maintaining proper zinc levels isn't an issue, but since many zinc-rich foods such as oysters, red meats, and poultry are animal-based, it can be more challenging for vegetarians to meet recommended amounts. HOW TO INCORPORATE: This one is a no-brainer! Whether your eat a few squares of dark chocolate for a post-dinner treat or melt them into a cup of warm milk for a unique take on homemade hot chocolate—and a little protein boost—you can't really go wrong. If you're feeling extra fancy, use unsweetened cocoa powder to create a Mexican molé sauce. Combine cocoa powder with garlic, cilantro, onion, cumin, tomato soup, vegetable oil, and chilies, and serve over your meat substitute and veggies of choice. We all know calcium is key to strong bones, but it also plays a role in blood-pressure control and blood clotting. Think your milk and yogurt intakes are doing the job? Don't be so sure. Vegetarians, especially those who are women, tend to fall on the lower side when it comes to bone mineral density, so getting some extra calcium doesn't hurt. 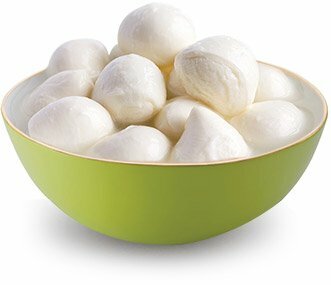 Part-skim mozzarella only has 72 calories and is packed with 222 milligrams of calcium per ounce. Not to mention, it's rich in vitamin B-12 and minerals including magnesium and zinc! HOW TO INCORPORATE: Cheese is often very versatile, and mozzarella is no exception. Add the shredded variety to your salads or top your entr&eacutee with a handful of the melted stuff. If you're looking for main-course ideas, grab a pie crust, some tomatoes, and a handful of spinach and make it a healthy homemade pizza night! Ryder, K. M., Shorr, R. I., Bush, A. J., Kritchevsky, S. B., Harris, T., Stone, K., ... & Tylavsky, F. A. (2005). Magnesium intake from food and supplements is associated with bone mineral density in healthy older white subjects. Journal of the American Geriatrics Society, 53(11), 1875-1880. Hamvas, A., Corradi, G., Hegedüs, M., & Frang, D. (1991). Experience with the Peponen® capsule in the management of benign prostatic hyperplasia. International Urology and Nephrology, 23(1), 51-55. Bassett, C. M., Rodriguez-Leyva, D., & Pierce, G. N. (2009). 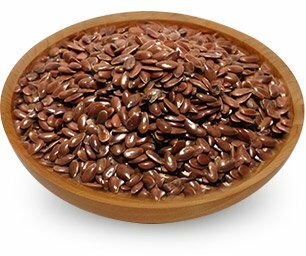 Experimental and clinical research findings on the cardiovascular benefits of consuming flaxseed. Applied Physiology, Nutrition, and Metabolism, 34(5), 965-974. Rubilar, M., Gutiérrez, C., Verdugo, M., Shene, C., & Sineiro, J. (2010). Flaxseed as a source of functional ingredients. Journal of Soil Science and Plant Nutrition, 10(3), 373-377. Shiina, Y., Funabashi, N., Lee, K., Murayama, T., Nakamura, K., Wakatsuki, Y., ... & Komuro, I. (2009). Acute effect of oral flavonoid-rich dark chocolate intake on coronary circulation, as compared with non-flavonoid white chocolate, by transthoracic Doppler echocardiography in healthy adults. International Journal of Cardiology, 131(3), 424-429. Vlachopoulos, C., Aznaouridis, K., Alexopoulos, N., Economou, E., Andreadou, I., & Stefanadis, C. (2005). Effect of dark chocolate on arterial function in healthy individuals. American Journal of Hypertension, 18(6), 785-791.